00:00:00 - Your Paleopals bring the Heat this Winter's Solstice. Charlie and Ryan question the theoretical limits of the International Bitter Unit (I.B.U.) and discover a very 'science... sort of' I.P.A. (India Pale Ale), while Patrick, the ever-composed southern gentleman, calmly sips a Texan staple. 00:04:48 - We humans have been playing the global warming game so well, the Earth has decided to generously comp us a greenhouse gas bonus -- methane. 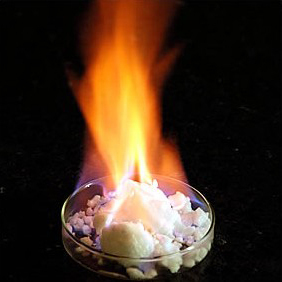 Patrick takes us to the ocean depths where methane hydrates, a sherbet-like substance made of methane molecules, trapped inside frozen water molecules resides. 00:21:50 - Trailer Trash Talks with Ryan nearly falling from the rarefied pedestal of comic geekhood. But with an impressive recovery his status shall not be questioned again. we discuss the disturbing iterative trend in the number of villains in superhero movie sequels -- Iron Man 2 plots right on the line unless you count the bottle as a villain (we do not btw). 00:30:30 - Ryan continues to bring the endothermy with a discussion of warm-blooded dinos. Yes dinos, our listeners wanted more dinos and we delievered. 00:47:33 - Listener Feedback Time: Listener Rob loves endorphins and will run great lengths in search of a fix. The paleopals pushers do what they can to enhance Rob's experience but do not, STRICTLY DO NOT, condone the use of Heroin, especially while running 20+ miles.